Each participant needs to take a few minutes and consider something positive about each of the other people in their group. It’s best when you focus on one specific skill, trait or characteristic. Provide a brief reason why or example of when you’ve seen the person demonstrate this positive talent, capability or attribute. Failing to come up with one attribute or skill set you may allow the person to describe several, however they are required to provide the why or example of when they’ve observed this. Here are a couple of brief examples of what occurred in our drive east. Noah observed this about Josh: Josh has an extremely well-developed and honed skill at League of Legends. He is in the top 1% of all players in this, which is impressive, yet still doesn’t place him in a position to be skilled enough to play at a professional level. Noah particularly admired one specific game he witnessed where Josh played and one of his friends from college, Kevin, decisively demolished their opponent. He recalled never having seen Josh play so well, and mentioned that it was as good if not better than watching the pros play, which they frequently do on the weekends. My observation about Josh: Josh originally started his college academics in software development. This past year he changed his major to communications. My praise for him included recognizing and making the difficult decision to change majors, but more importantly what I’ve observed how well suited he is to his new vocation. On our drives to Ames, IA he’s several times provided extended discussions about what he’s learning, his enjoyment, conclusions and application of what he’s absorbed. This summer on several occasions he’s been able to help Noah and I navigate difficult challenges between our communication styles, coaching each of us what to do to enable the other person to accept and understand the others position. Had he not been involved I’m convinced the outcome of these conflicts would have been much different. Instead he’s managed to coach us both into compromises and extremely positive resolutions. Josh’s future in his new vocation will be successful due to his passion for it and the deep sincere empathy he has with people. These are examples of what to observe and to say. The outcome though is undeniable. The person receiving the praise and compliment frequently feels a rush of goose bumps when the observation is sincere and genuine. You can tell this by how they respond. In Josh’s case, since Noah isn’t one to deliver commendations too frequently he almost blushed, and he was quick to not only acknowledge it but also deeply thank Noah. I could feel the gratitude and elevation in Noah’s response as well. None of us has the level of self-worth and esteem we are capable of commanding. We all think of ourselves to a lesser degree than we should. We’ve discussed this previously in Kids Say the Darndest Things – Formula for Human Potential. I’m not suggesting you become arrogant or conceited. Those people are the most insecure. How often do your people fail to perform to their potential? Do you believe an injection of acknowledgement, recognition, and sincere praise would inspire an uptick in their self-concept? Remember: Our self-concept is the single most important predictor of our performance and effectiveness in every area of our life. We always act in a manner consistent with our self-concept. We are in a one to one relationship between our level of human potential and our self-concept. 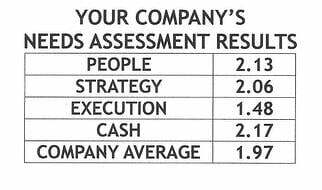 How would you classify your desire to improve your business? Do you have a ravenous appetite to measurably improve your business performance? If so please read my next blog. 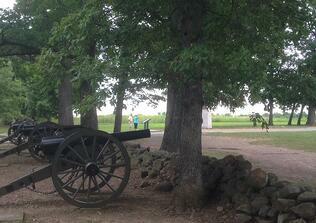 We’ll explore Brand Promise and what I learned on my vacation visiting Gettysburg.